IGOR is extremely attentive to the environmental impact therefor they decided to implement a sustainable growth policy. For this reason, IGOR decided to equip their plant with latest generation tools and systems, implementing important efficiency and energy saving measures, optimizing water resources and reducing atmospheric emissions. The current plant allows a significant reduction in consumption and optimization of industrial waste. From the second semester of 2016 it was made more efficient thanks to stand-alone cogeneration plant with Green Energy features, which ensures self-sufficiency and avoids issues from failures or micro-interruptions. This system allows to reuse 98% of engine thermal energy and exhaust gas. The new transformer is of the "Green" type, in line with the new European directive EN 50541-1, enforced since 1(st), July 2015. 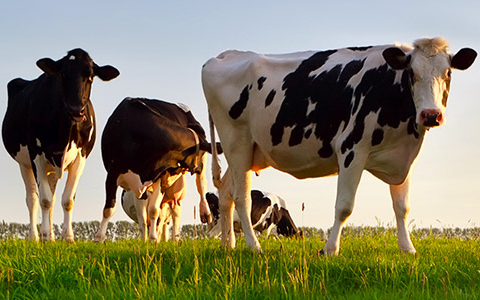 At IGOR, natural resources - Milk, Serum, Water, Energy and Gas Methane - have always been carefully managed to reduce environmental impact and waste. 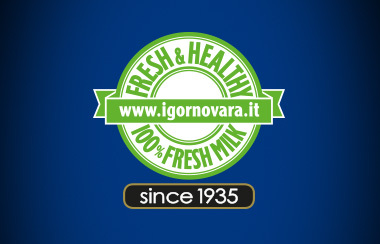 At IGOR only Italian fresh milk is processed. No refrigeration units are lost duringprocessing, from the storage temperature (max +4°) to the working temperature. All serum is concentrated with a low-power osmosis system equipped with square meters of double membrane capacity respect to the standard. Moreover, demineralized water discharged from the osmosis is used. Another factor is the 5-fold reduction in trucks for transport thanks to the concentration of the serum. At the plant, the use of water is controlled by PLC with timed use age rules: a choice that avoids waste. 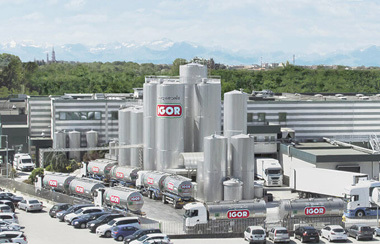 Compared to the European average of water use for volumes produced in the dairy industry, IGOR boasts one of the most efficient plants (source: French magazine “Process"). IGOR uses green energy. It is part of the San Giulio Consortium of the Industrial Association of Novara, which, since 2010 has been, purchasing all energy with "green" classification and annually releasing to each active member company the "Zero emission electricity" certificate, which officially certifies this important feature. The environmental impact is really low as the emission points (periodically checked) have average values ​​below the concentration values ​​established by current legislation. This is thanks to the use of the latest generation vapor generators, classified LOW NOX, which have low production of nitrogen monoxide. IGOR is implementing a project to reduce plastics replacing it with recyclable and compostable materials. 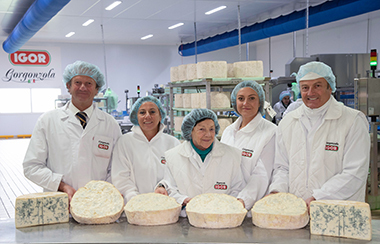 Every year, IGOR thanks for the use of a peelable and reusable film, reduced the use of plastic lids on nearly 12 million 200g packs of Gorgonzola.